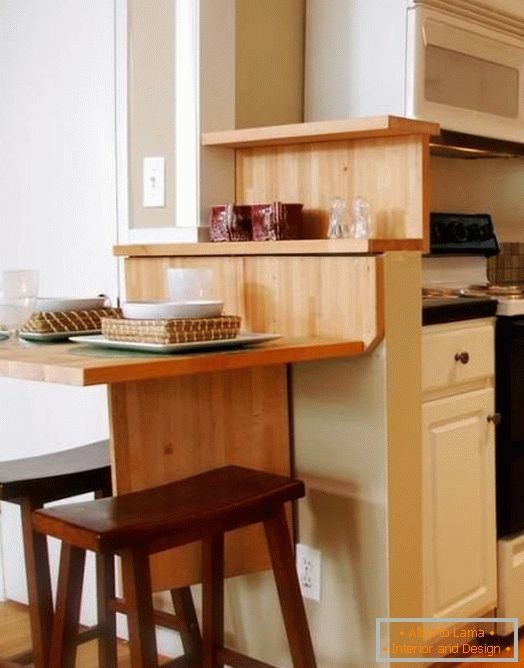 Every housewife knows that fighting with a lack of space in the kitchen is sometimes very difficult. 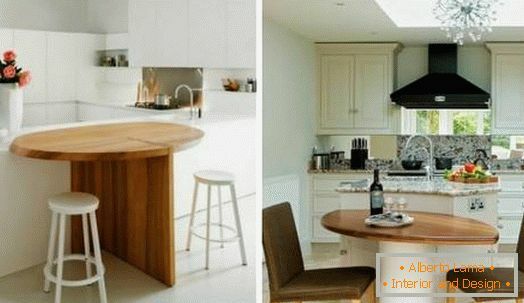 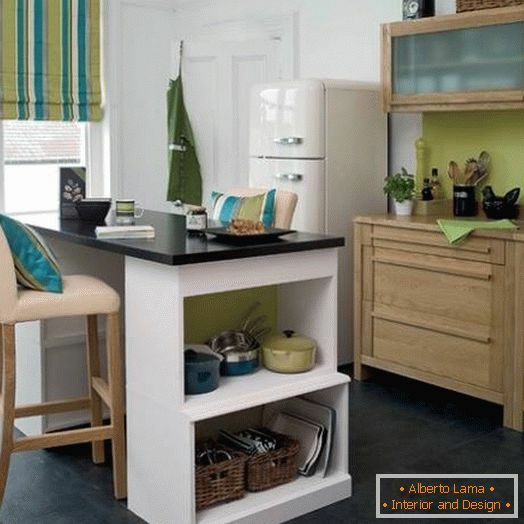 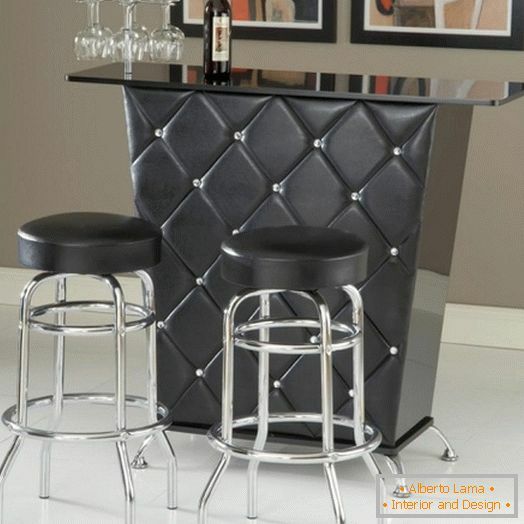 The bar counter can act in the kitchen as an additional work surface, dining area or rest space. 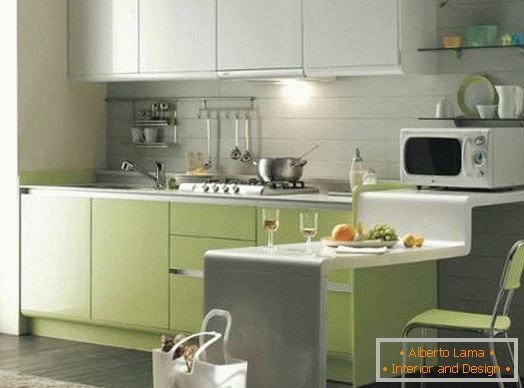 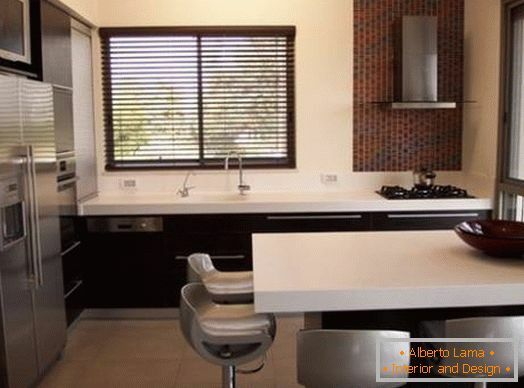 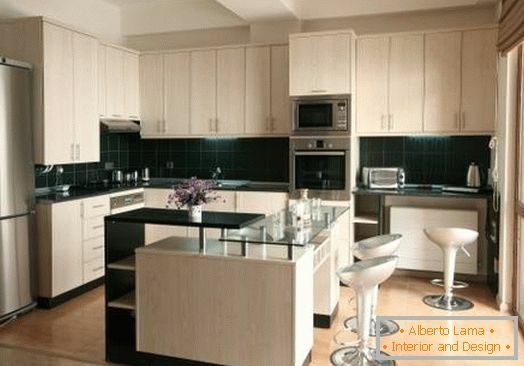 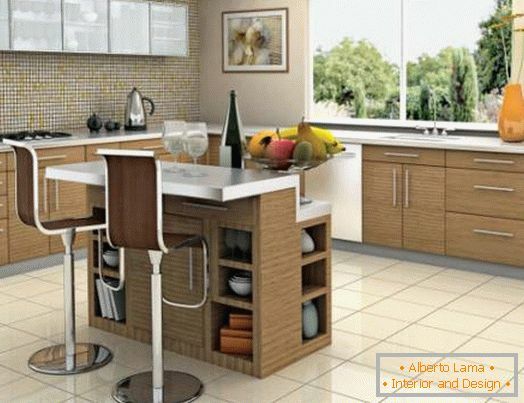 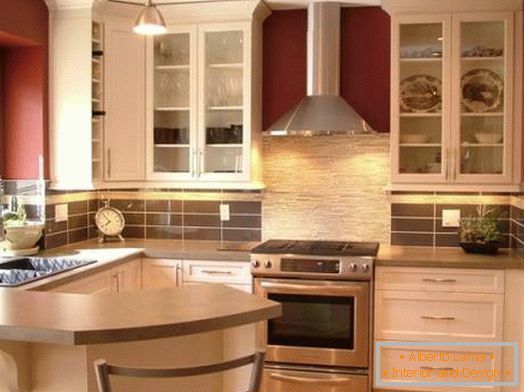 Do not forget about the decorative aspect of kitchen bars, which makes them incredibly popular all over the world. 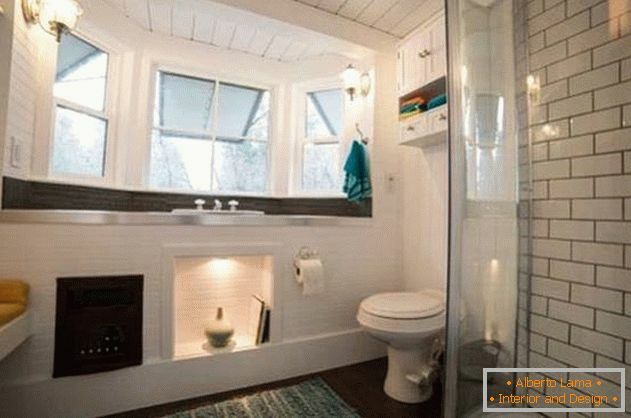 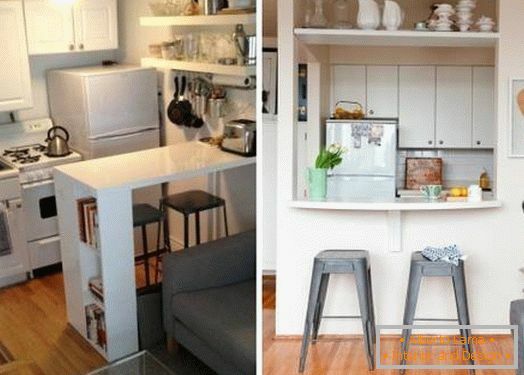 But what if the dimensions of the kitchen are very limited? 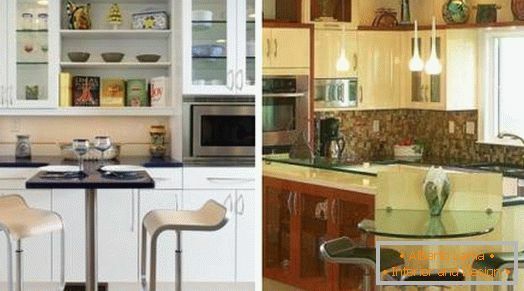 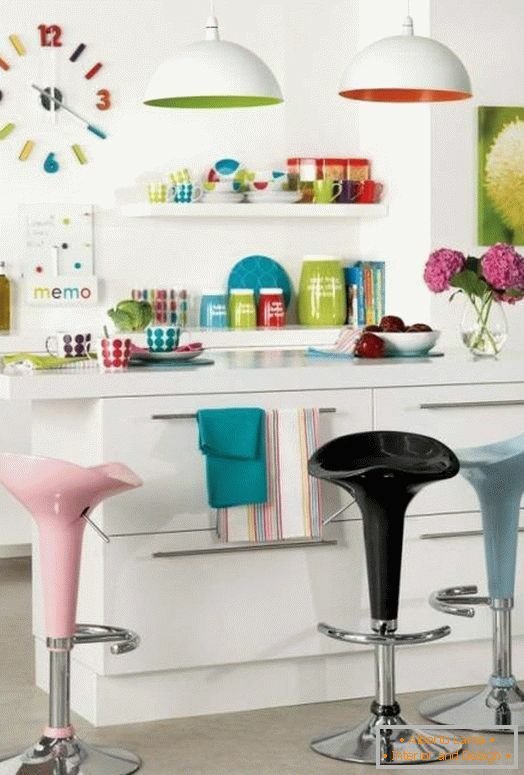 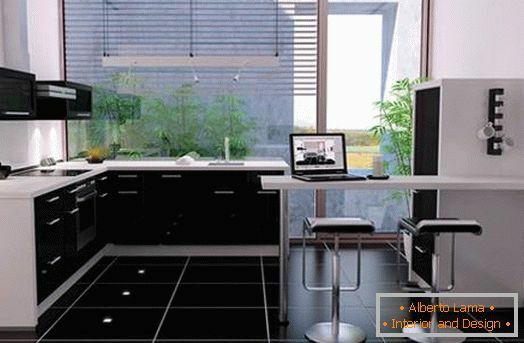 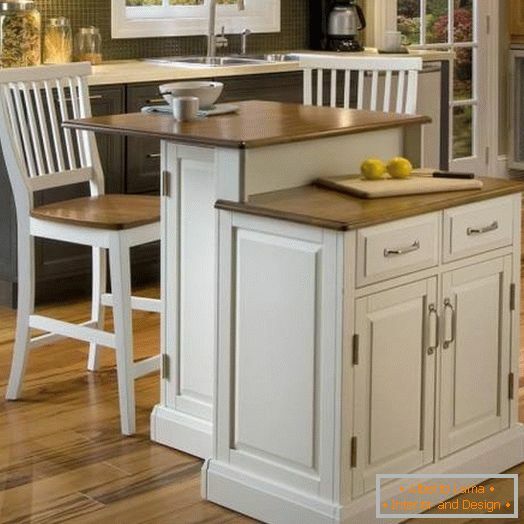 The bar counter is often associated with a large kitchen where you can afford some excesses without cluttering up space. 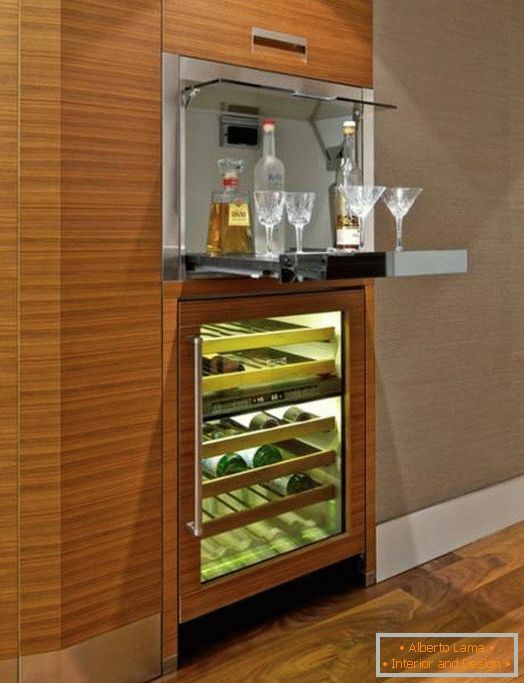 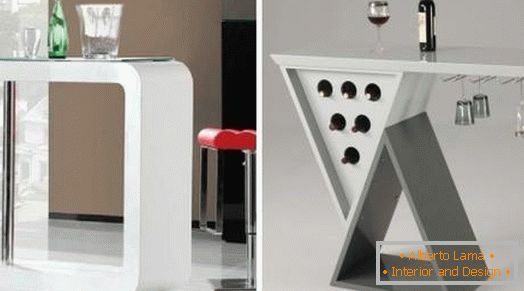 However, a narrow bar can also be quite attractive and perform a practical function. 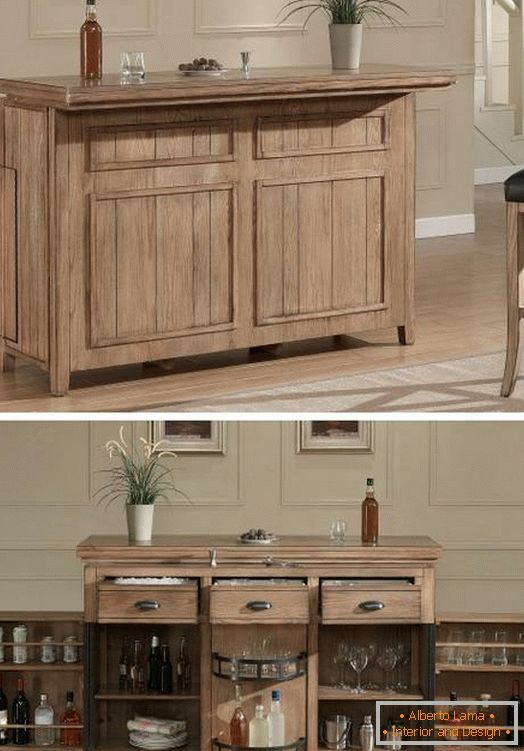 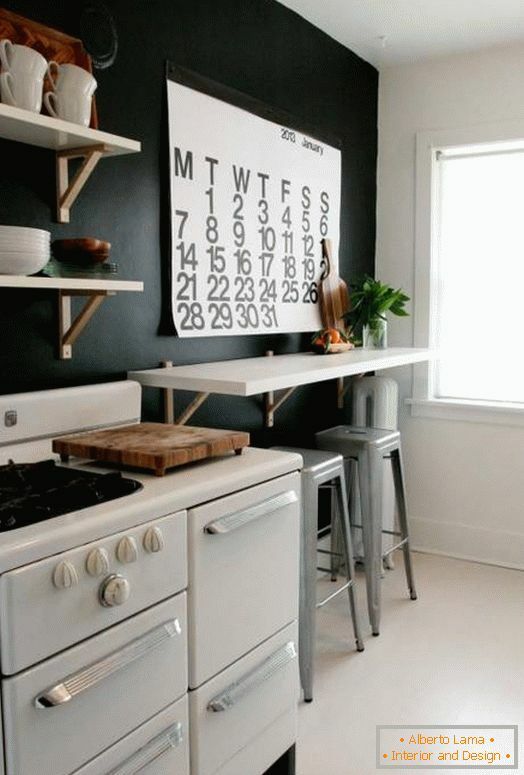 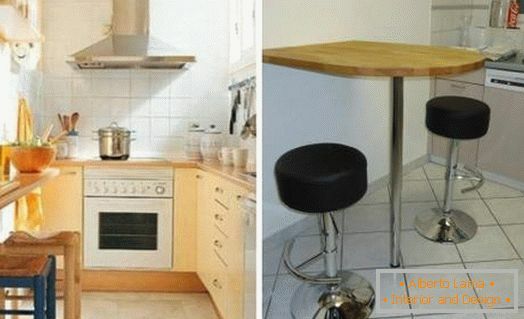 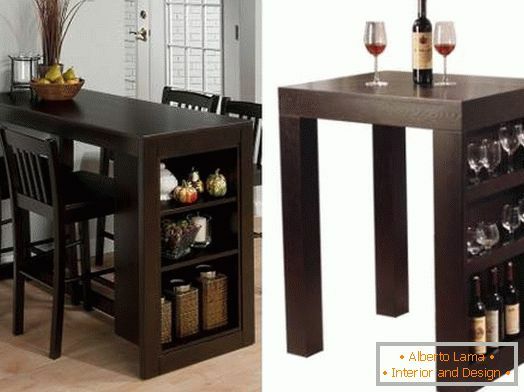 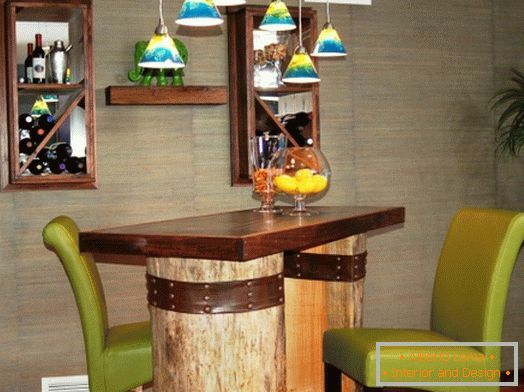 For example, a stylish bar counter can easily replace a cumbersome dining table. 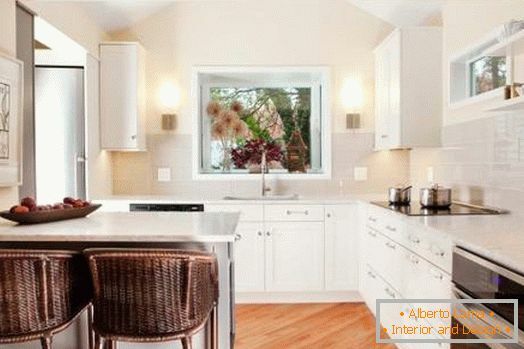 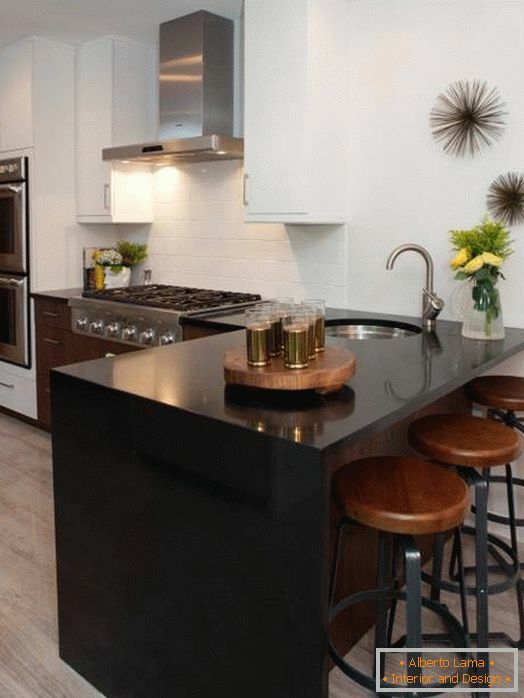 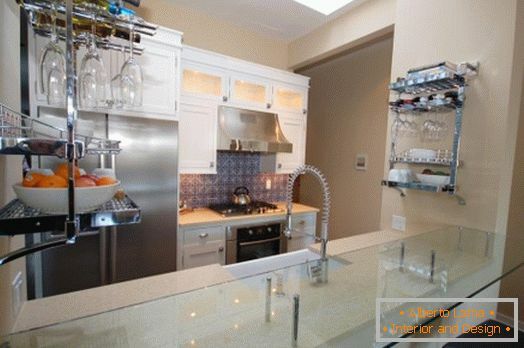 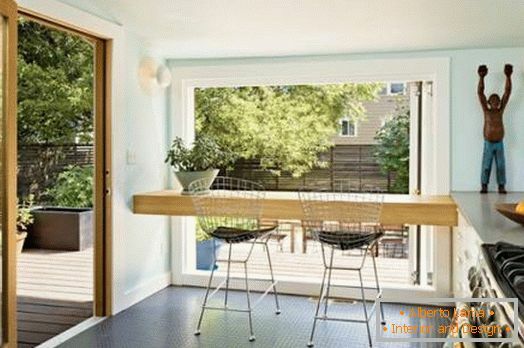 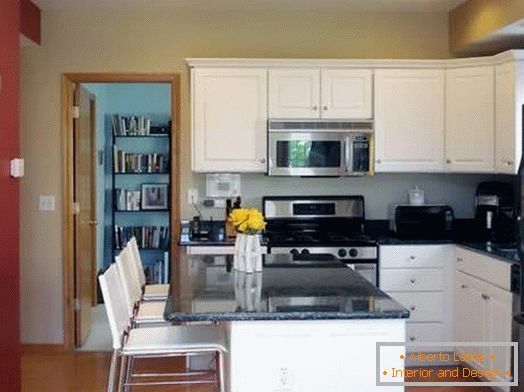 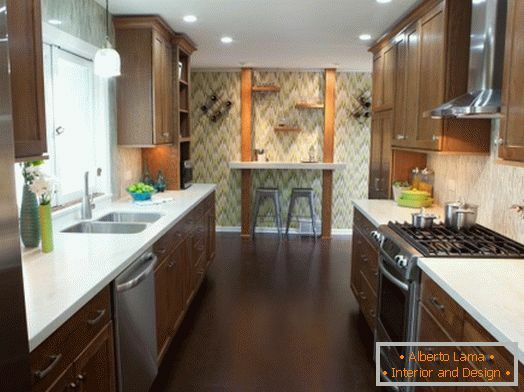 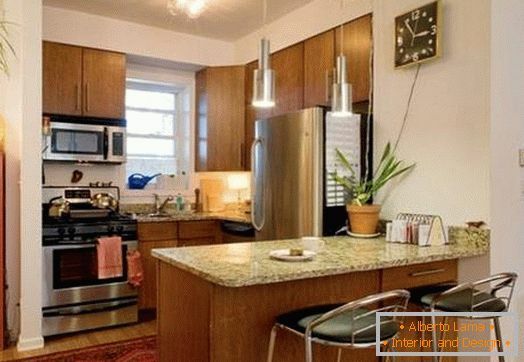 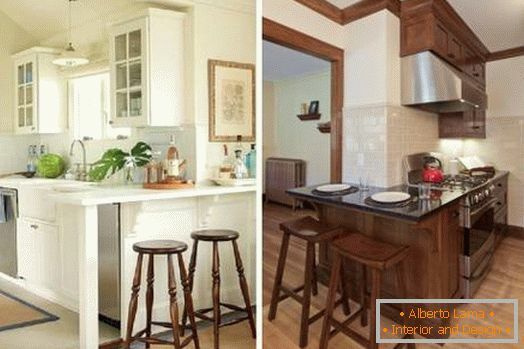 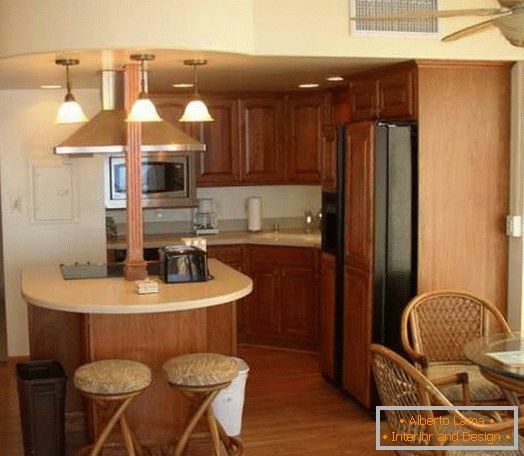 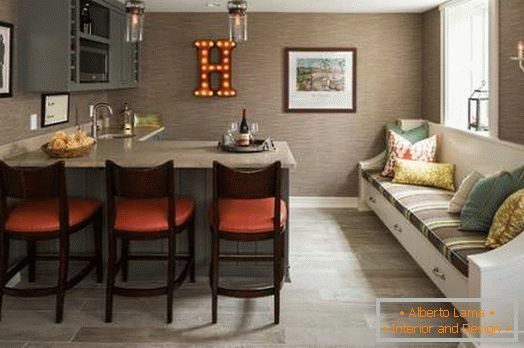 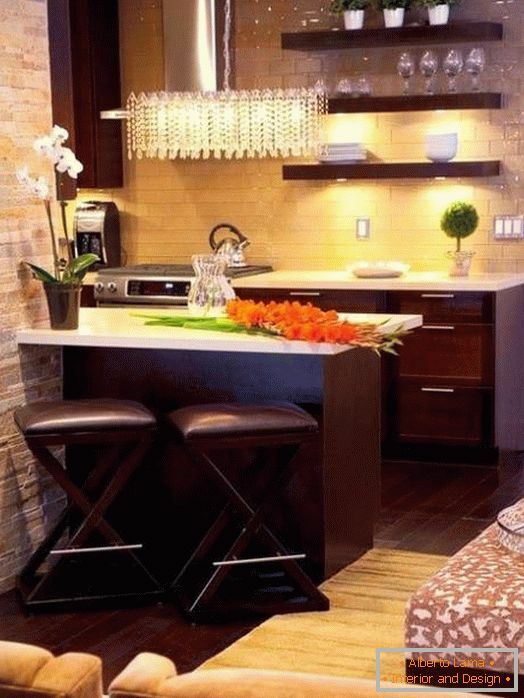 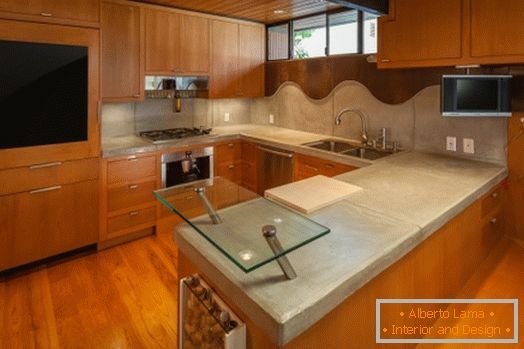 Also, small bars for 2-3 people are often created by expanding one of the countertops or kitchen island. 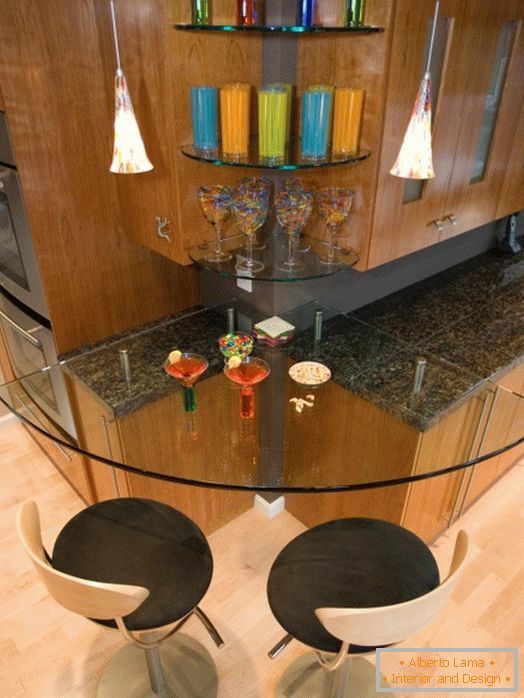 Another good idea is to use bar counters as a transition from the kitchen to the living room. 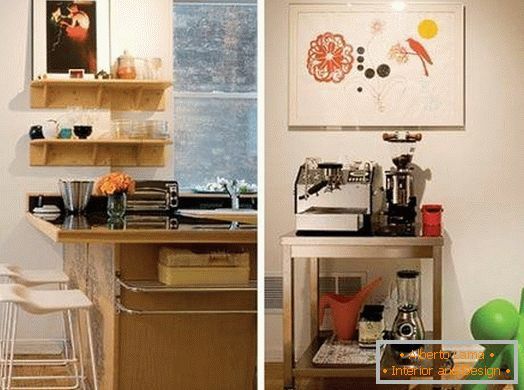 An open bar in the wall will help you organize a buffet table when the guests gather in the house. 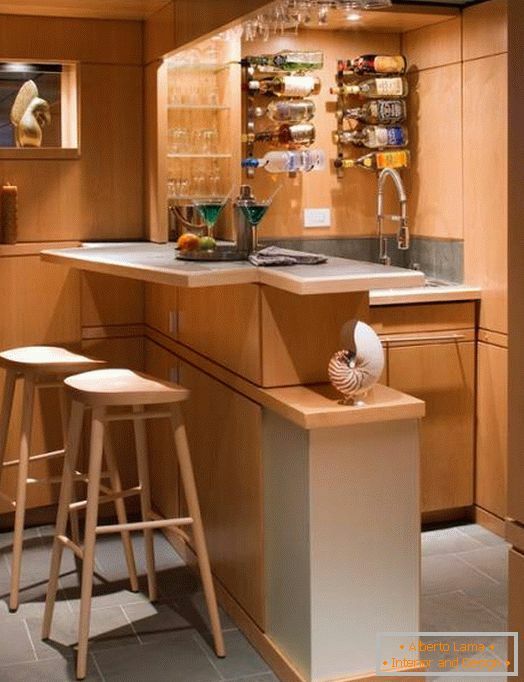 In addition, in our selection of 45 photos of compact bar counters you will see options for placing a bar near the window or wall and stand-alone bar counters that can be conveniently moved. 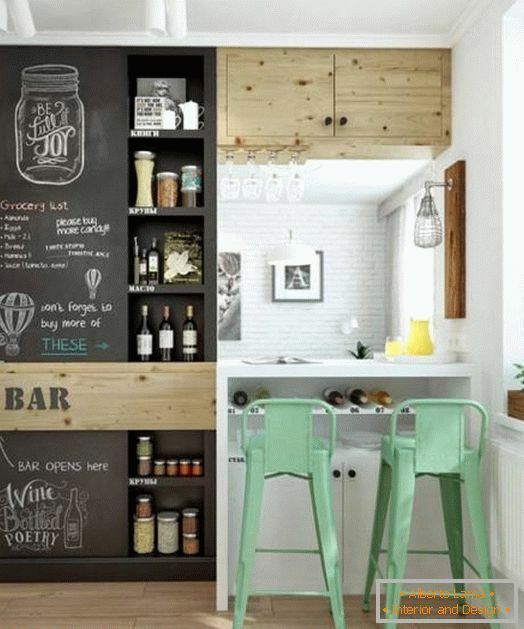 Before we go directly to the photographs, we would like to note one more important point: what should be the height of a small bar counter? 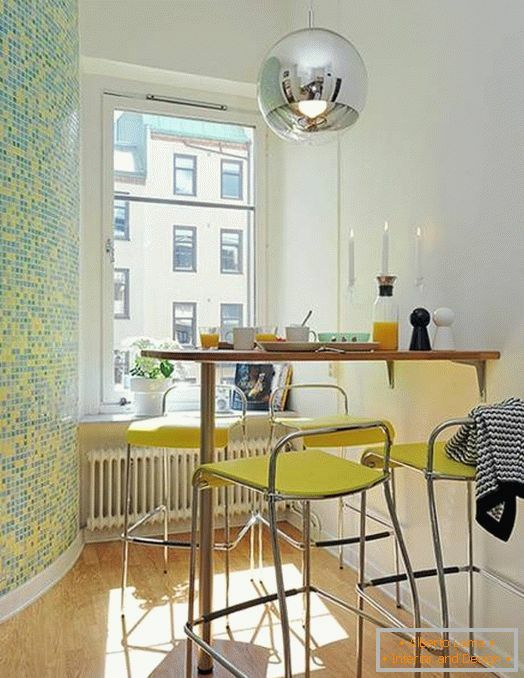 The minimum height of the bar is 110-120 cm, but at home it is often much lower, because it is used not only for entertainment, but for simple family breakfasts. 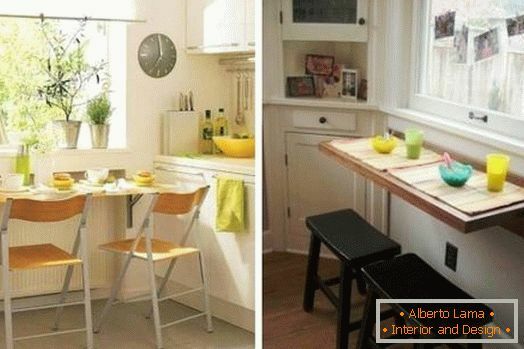 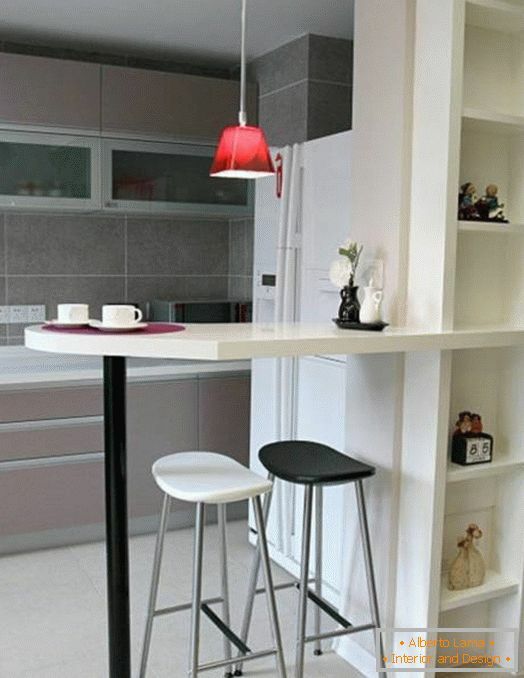 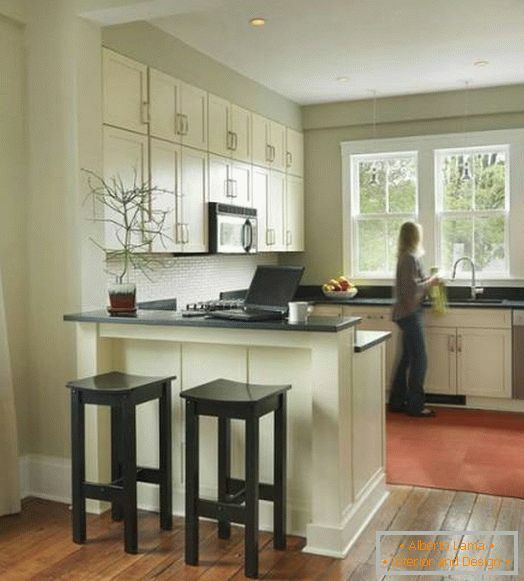 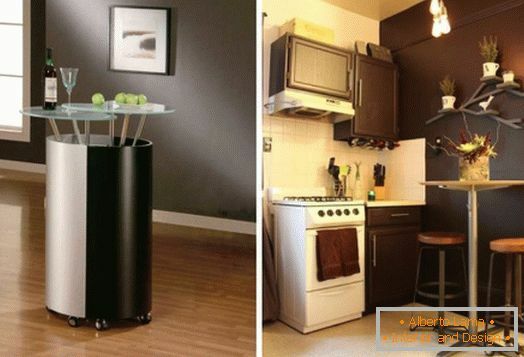 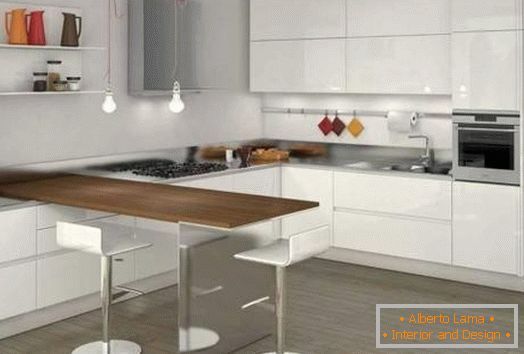 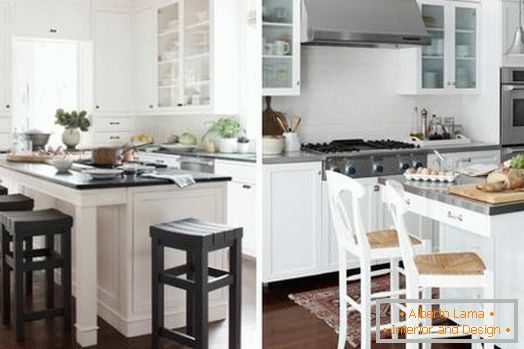 Therefore, if the kitchen is small in size, you can safely choose the height of the bar in the area of ​​90 cm, and bar stools - 65 cm. 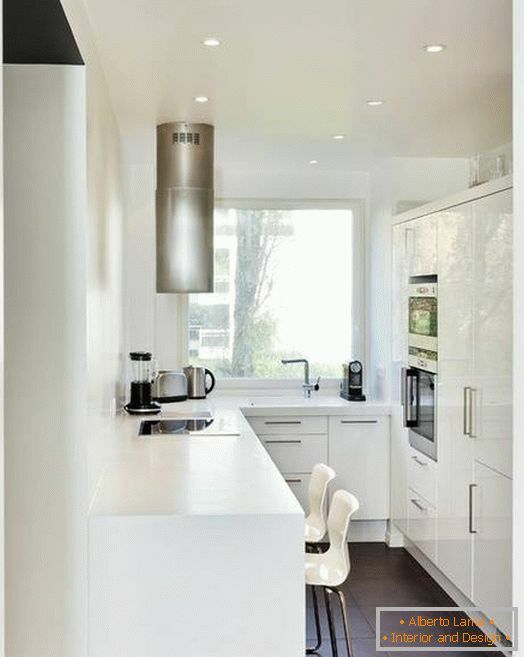 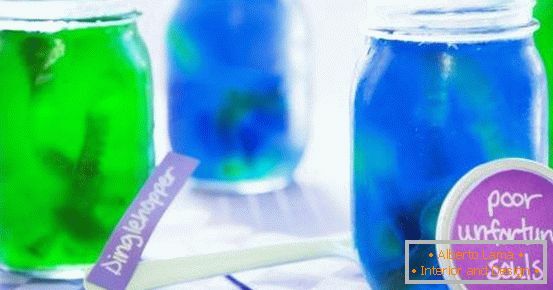 This will be quite enough for your comfort.